Do It Yourself and Save on Shipping Cost of assembled window screens. 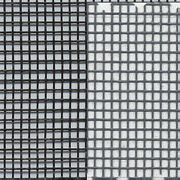 Here you wil find Fiberglass Insect Screen Kits, Solar Insect Screen Kits, No-See-Um Tiny Insect Screen, Pet Screen Kits and Super Screen KIts. All of the kits include the parts needed to make a complete window screen. Included is standard 5/16 thick x 3/4 (.020 ga.) screen frame for the 4 outside pieces in your choice of color, choice of screen fabric colors, external corners, spline, slide-in leaf springs and lift tabs and a spline roller tool in each order. Add-on Options include crossbar and clips (reccomended for screen kits over 3 ft.x 3 ft). There is a Minimum Order of 3 total kits required. Very affordable and well made. All of them fit perfectly. It is so nice to be able to turn off the AC and air out the home once again. We will do business with them again; thank you.